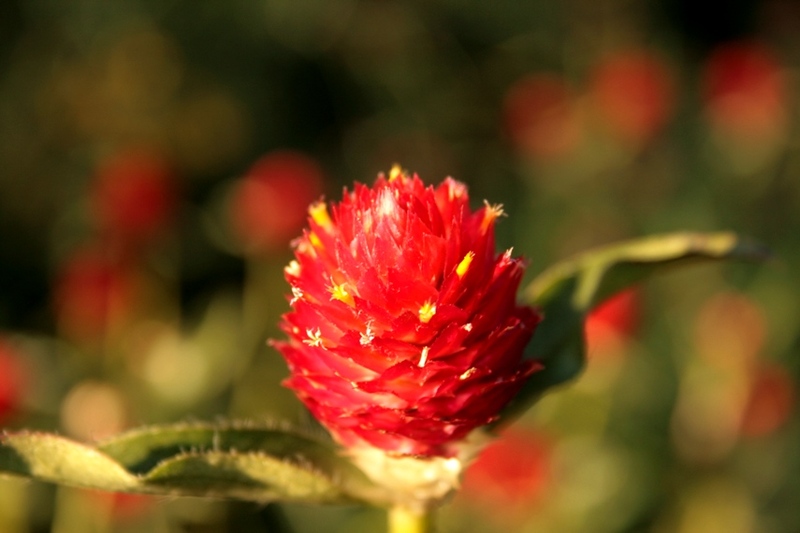 I'm not sure what this little flower is called, its so vividly red. I really like the red flowers in the background too. There's bokeh for you. Concrete Picnic Table. And a Leaf.